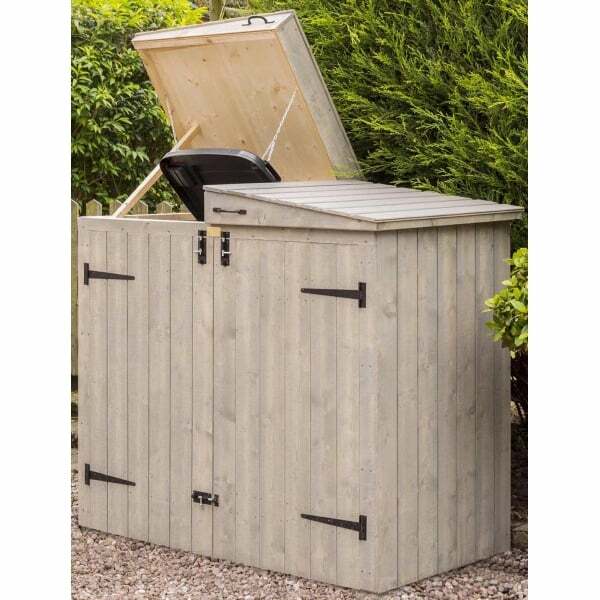 Heritage Apex Bin Store: This Heritage wheelie bin store is an attractive storage solution to keep those wheelie bins out of sight. The stylish tongue and groove fine sawn 12mm tongue and groove vertical timber cladding is FSC approved and has a grey wash paint finish. The lifting roof lids are apex style and feature chains to connect to your bin lids for easy access. The two front hinged doors enable the bins to be removed and replaced easily and this bin store includes a 15 year manufacturer's warranty to protect against rot.